sales for about 25 years, the last 12 or so have owned 2 different businesses. 4 years a meat business(yes it was good meat) and the last 8 years an advertising business. now i'm getting out of advertising, starting a new business with address signs(my own design).i also just bought a canon digital rebel xti. while i'm learning to take good pictures with the camera i'm also building 2 masts for aerial photography. 1 will mount on my van, the other will be portable. next spring my wife is quitting her job at a law firm and we will start traveling the country again like we did before our daughter was born. she's now 20,in her 3rd yr. at university(honor student i'm proud to say and 3rd degree blk. belt)and can handle her own.gee i wish i was more like her. anyway if you see a van with a mast mounted on top pulling a travel trailer stop and say hi! 1 word of caution though,if i've had my 2nd cup of coffee i tend to talk alot . Operations Tech for an international utility company. Construction coordinator, FAME GIS mapping, trainer and inspector. Jack of all trades. 3 term city councilmember until the last election when I missed the registration deadline. DOH!!! wow man ure a busy dude! Project Manager/estimating/sales for an industrial HVAC contractor. Been in the HVAC field 15yrs. aerospace engineer/flight test engineer. I test big aiplanes by day and fly models after I get home from work. cropduster, pilot/ business owner w/brother. I have had a little (snicker) change since my last post. I officially retired as of 1 October 2007. Best part of retirement: Mondays are no longer dreaded. Worst part of retirement: Saturdays ain't any better than Mondays. It's good to live here in Florida. The days are mostly all good for flying. I've already been getting calls from people who own their own businesses, wanting me to become their Operations Manager. I'm holding them at bay, but I'm getting weaker by the offer. I might consider a part time setup. I am a cropduster pilot. It is my off season right now so I am looking for a cropduster kit to build this winter. I would like an AGCAT since that is what I started in ten years ago but any will do. Anyone know where I can find a kit? Spent 12 years with the South African Airforce on Alo 111 heli,s . Now run a gunshop and farm cattle and sheep. I am blessed to be able to fly at home. Im a fedex contractor/driver. I own 5 fedex routes, i have employees drive 4 of them and i drive one myself. You're my friend! You bring me cool airplane toys! I was a professional tourist driving the big rigs across country for 6 years. For the last 9 years I have been delivering construction equipment for a local equipment rental company. Basicly I get paid to play with the biggest Tonka toys in the world. Mud and dirt are my friends! Retired Primary School Principal. Now I have the time to do what I really enjoy. im a U.S. Army mechanic. been in just over 1 year, trying to get big into rc flying, just love it. just got my trainer plane and have 3 good flights on it an the high school near my house. I Enlisted in the USAF as an Aircraft Mechanic in 1989 . After 9 years I was medically discharged[ ]. Spent the next 8 years working at a small county airport selling aviation fuels (a little management time). I've spent the last (almost) 6 months working for an Air Taxi Service as a dispatcher in the Gulf of Mexico . i'm an -- AUTOMOTIVE REPAIR COMPONANT IDENTIFICATION AND PROCUREMENT SPECIALIST. I've been in the Air Force for over 10 years now. I started out as a heavy aircraft mechanic. 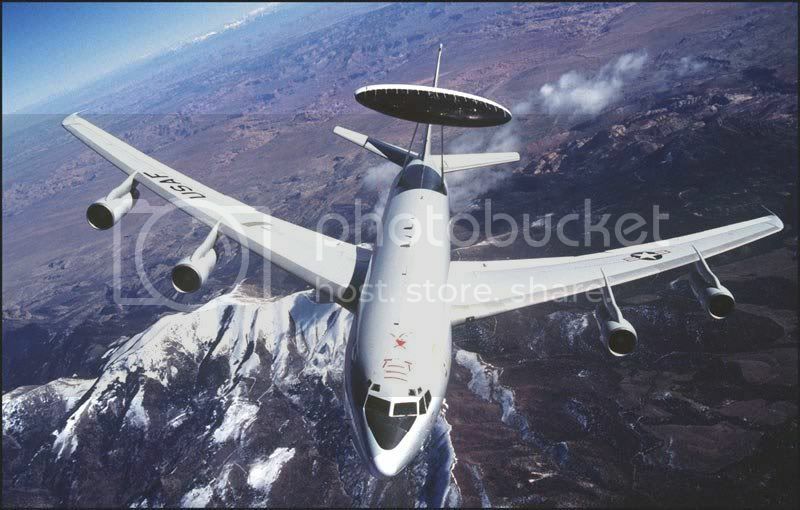 I worked on KC-10's and the E-3 AWACS. I got tired of fixing them and I cross trained! I'm now a flight engineer on the AWACS. I couldn't be happier with my job. Basically, I sit behind the co-pilot and monitor and run the aircraft systems like the engines, hydraulics, pressurization, fuel, weight and balance, etc. I handle in flight emergencies and plan the flight. I also smack the co-pilot in the back of the head when he/she says or does something stupid. Now that's a cool job!!!!!!!!!!!! AS a fellow Ok resident I think you need some help!!!! Computer network engineer and part time hockey announcer/broadcaster. Former US Navy P-3 Orion Inflight Tech. Im a graphic designer for AutoTrader.com, a freelance graphic designer for RCUniverse.com and other rc related websites, a review writer for RCUniverse.com and RC Car Action magazine, and a private pilot for fun.